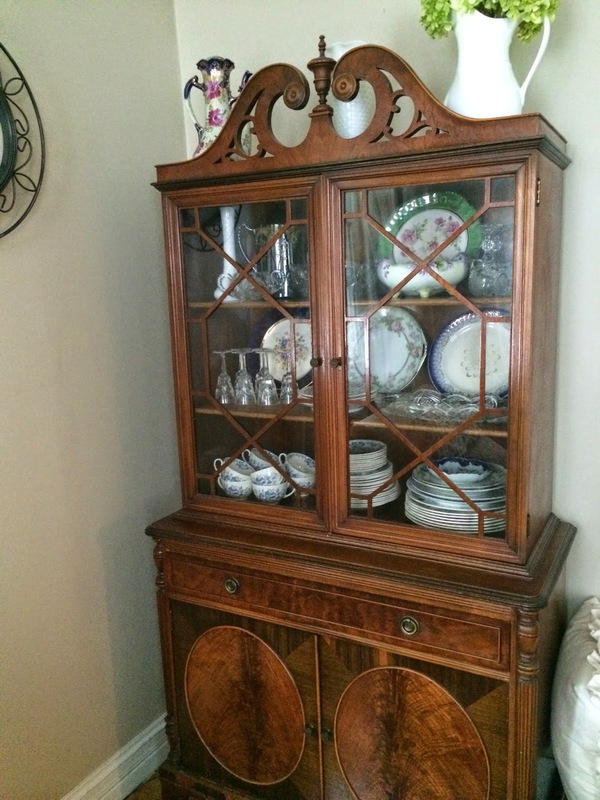 This Little House of Mine: Look, We're Antiquing Again! My beloved month of July has come to an end! This is a little sad, not going to lie. It feels like summer is ending soon! But August is still summer, right? 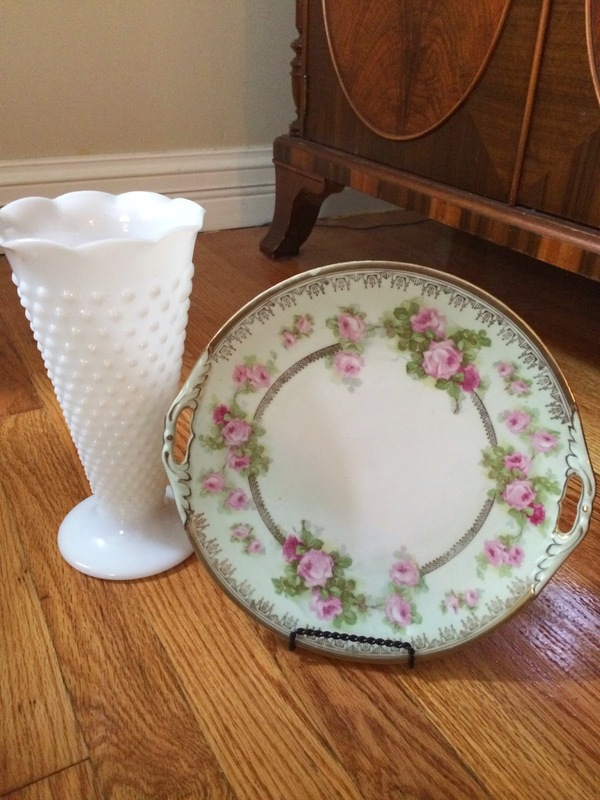 Anywho, we went antiquing again. 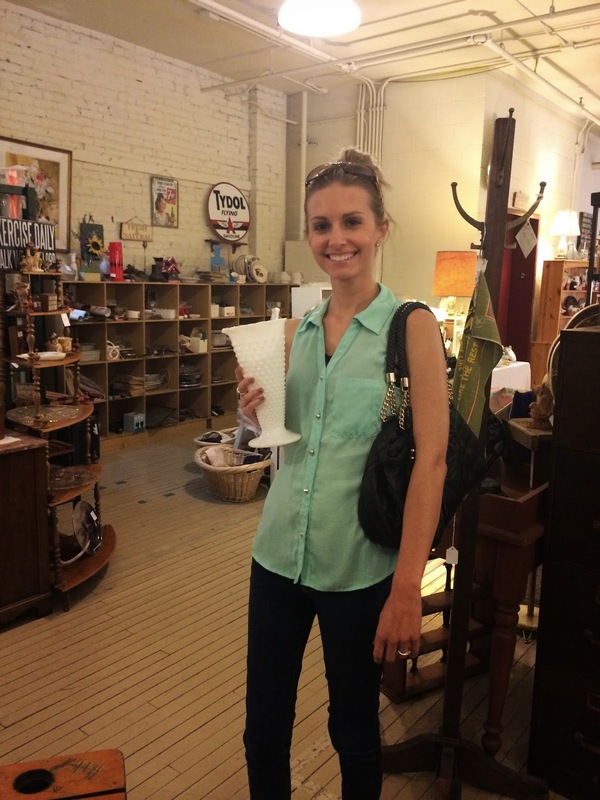 This time it was downtown Galesburg, at the antique mall. It's been a long time since we've been here, and it felt like a long lost friend! This is one of my favorite antique stores. I always find a few goodies here. 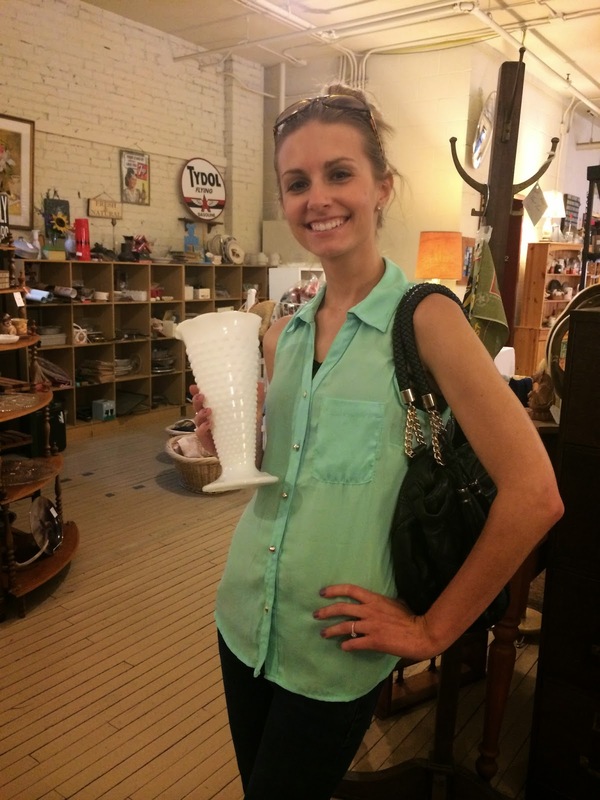 Including this milk glass vase that is exactly the size that I want to use for our wedding centerpieces! I'm just hoping I can gather enough similar ones to use for the wedding, a year from now. 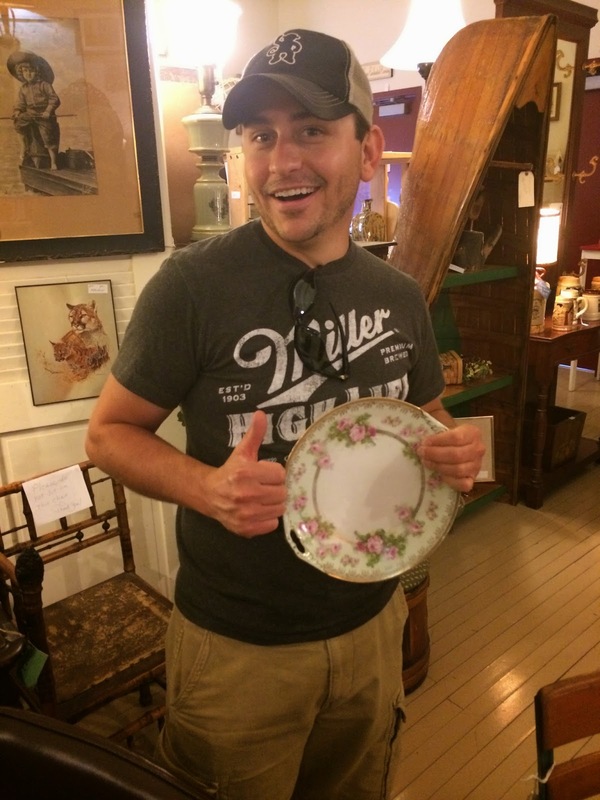 Trent found this pretty pink flowery plate. Just kidding. :) This was actually my find! Along with these two, I also got a new wooden crate for the porch. Woot! And here's a little close up of my two new beauties. 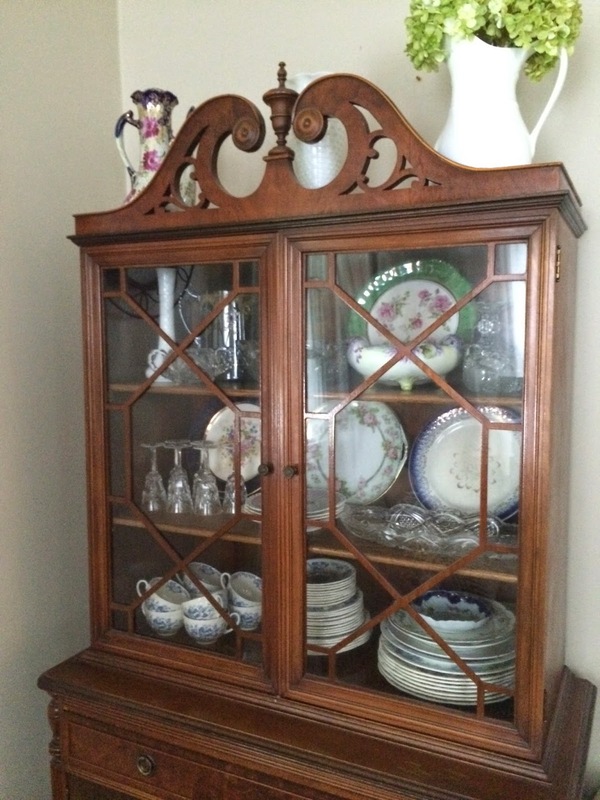 I rearranged the contents in my hutch a little to make room for my new plate. I'm getting quite the China collection. And I'm pretty sure my hutch is full now! Time to think of another way to display my plates. Wish I had more space.... See you in August everyone!